enters third season with the ultimate adrenaline rush - BIGGER, COLDER and BETTER! It has been the 3rd year for Maybank GO Ahead. Challenge 2014; an exciting international business case competition offers the brightest young minds from Malaysia, ASEAN and across the globe the opportunity to exhibit their potential in a multi-discipline and multi-national initiative with world-class experience, specially designed and organised by a truly regional financial services provider. Last Saturday was a fun day! 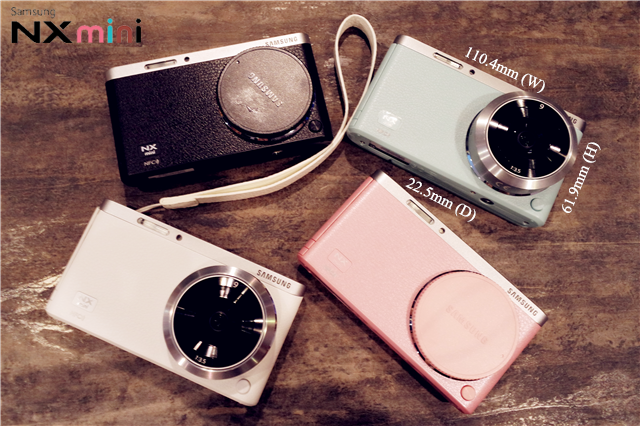 30 bloggers gathered at Nu Sentral (new shopping outlet beside's KL Sentral) for a short trip. This gathering reminds me of school trips, lol. Of course! 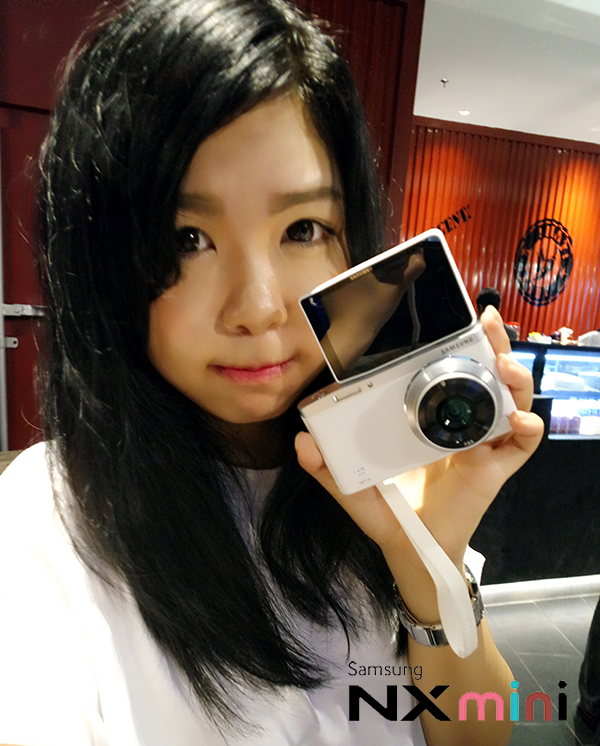 The main objective all bloggers at there is to know more and have first hands-on experience in conjunction also the launching of the new Samsung camera, Samsung NX mini Smart Camera. Summer is coming~ Nothing is even better than having a refreshing and cold absolute a-must summer treat. Yes! I am talking about my favorite all the time, ICE-CREAM. 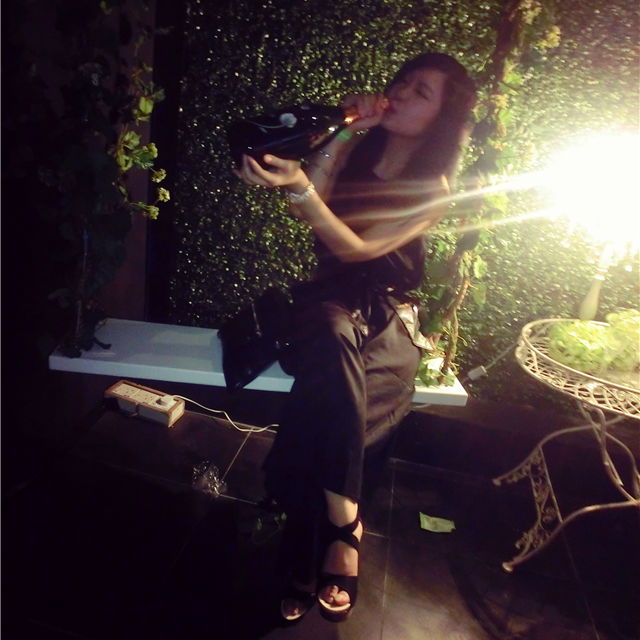 Was invited to Häagen-Dazs "Scoop of the Summer" Party where the event located at a nice place, Luna Bar KL to tried their sizzling new summer scoop, the Häagen-Dazs Mango and Raspberry ice cream. The new Häagen-Dazs Mango and Raspberry flavor is bound to keep you longing for more summer sweetness. Its varied flavor and texture has inspired two limited edition creation at Häagen-Dazs cafes which are the indulgent "Luscious Midsummer" and the tantalizing "Tropical Passion". From Spring to Summer, Carlo Rino has presents the new session of Spring/Summer 2014 Collection features a fun, feminine, glamorous, glitzy and gorgeous trend. As for your information, this session collection of Carlo Rino has more targeting to younger where cover the entire fashion spectrum for looks that are classy and refined with good hints of girlish fun. Carlo Rino Spring/Summer 2014 Collection has features new range of pastel and neon colors presenting two session. 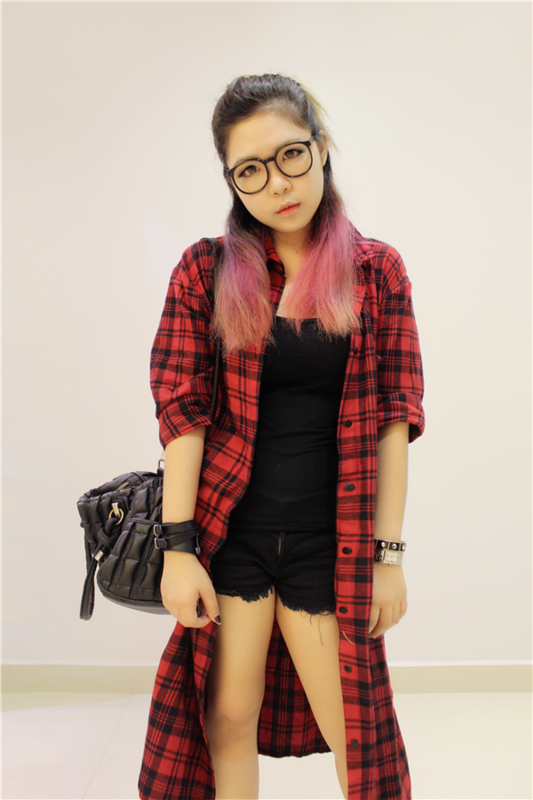 Nothing puts you in the spring-summer mood better than splashes of feminine or vibrant funky color. 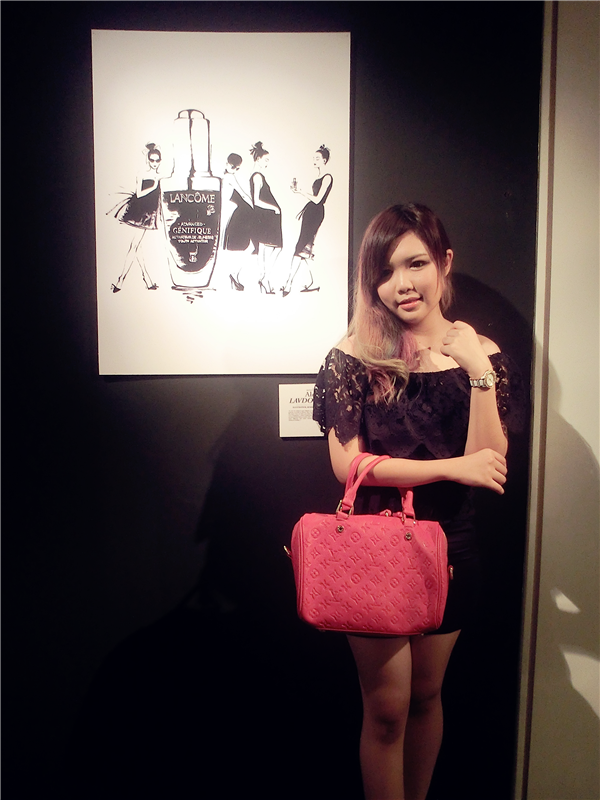 Had an opportunity invites to attend the Lancôme Little Black Bottle art exhibition where has 20 artists from all over the world showing their perception or interpretation artwork of iconic the Little Black Bottle, or the Advanced Genifique Youth Activating Concentrate bottle. The main objective of this exhibition is Lancôme wishes to showing their appreciation on the bestselling products which is the Advanced Genifique Youth Activating Concentrate bottle on canvas-telling. One of my favorite piece and most voted art piece of the night when we were asked to pick our favourite piece from the featured art work. This piece is really classic and simple. Using two tones of colors to represent the classiness of the Advanced Genifique Youth Activating Concentrate bottle. This piece is drew by Alena Lavdovskaya, an illustrator from Russia. And guess what? I won this art piece back. It was really great when I heard my name has announced. Welcome back to my blog. 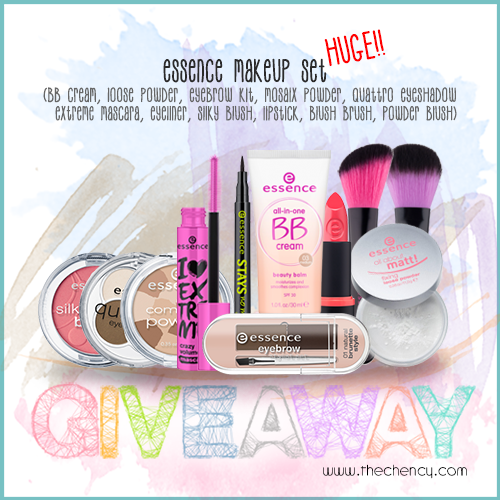 Is Giveaway Wednesday!! 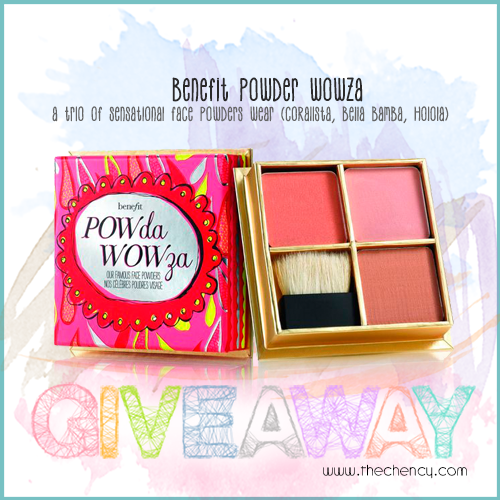 Am giving out one Benefit Powder Wowza worth RM125 to one lucky reader. Benefit Powder Wowza is a trio of sensational face powder wear to wow 'em for unstoppable gorgeous on the go aka blush, highlight & contour (all in one) set. Welcome back to my little space. Hope you guys doing great lately. Bla no more. 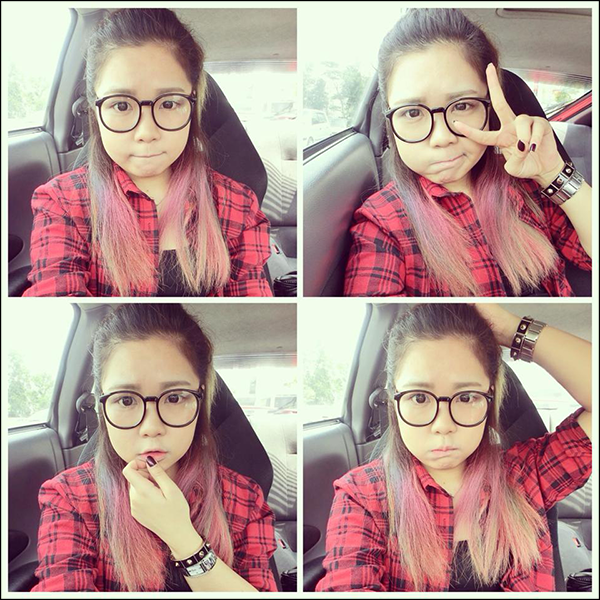 Today post will be my first ever makeup tutorial aka pictorial on my little space, I mean the detail one. 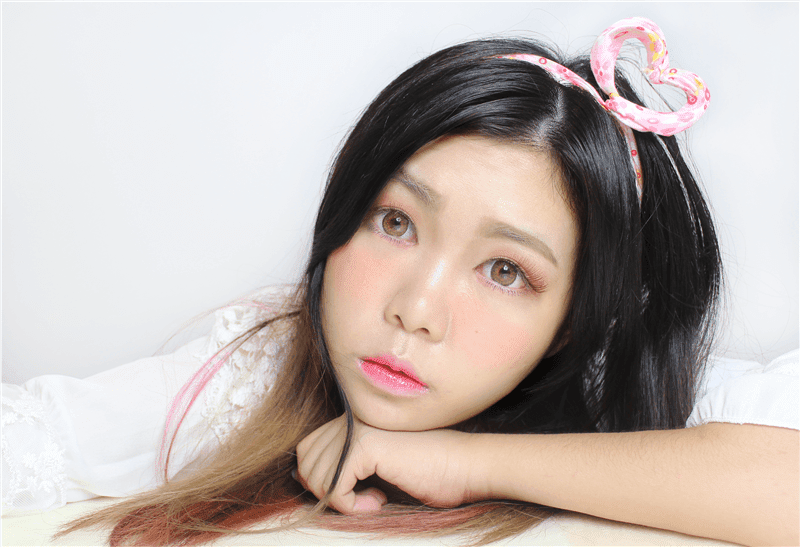 This makeup is inspired from Sakura. Is a natural sweet look that are suitable for this spring season also to who prefer natural brown look instead of black color. OSK Property (OSKP) launched it's latest service apartment, Eclipse Residence at Pan'gaea. 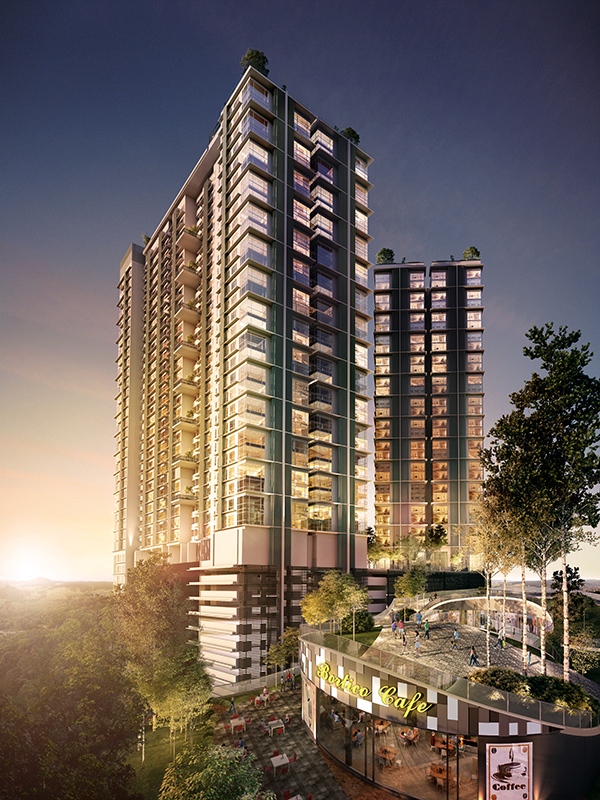 Eclipse Residence at Pan'gaea is part of a self-sustained integrated development in the heart of Cyberjaya. This freehold property offers 668 fully-furnished service apartmentd ranging from 450 to 990 square feet (sqft), price starting from RM364, 800. A diverse habitat in which to work, play and thrive, your neighbors include the Paragon's SOFO suites and boutique retail shops; Solstice Service Apartment; the Patio, a lively street shopping quarter; and the Gallery Mal with over 300,00sqft of net lettable space. 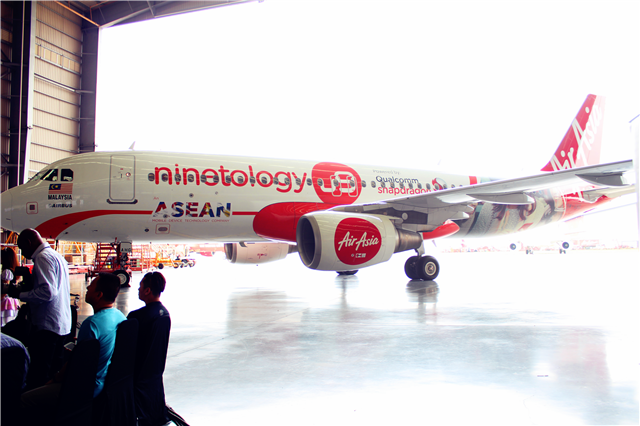 I have finally tried myself drove a super long long way to Sepang Aircraft Engineering to celebrating Ninetology U9 Plane Livery Event of the partnership between Ninetology and AirAsia, as well as the "So WOW for all" campaign. Ninetology Malaysia, the ASEAN mobile device technology company, announced RM180 millions in revenue with 12% mobile device market share in Malaysia as of December 2013. 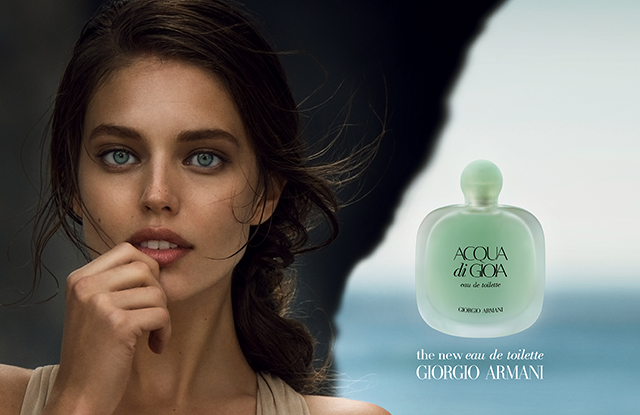 The brand also unveiled its strategy and key initiatives to further expand across the ASEAN market. Beside that, Ninetology has established its revenue target of RM380 million by the end of 2014, projected from its expansion plans into Philippines, Thailand and Vietnam, as presented by Sean Ng, Chief Executive Officer of Ninetology ASEAN. 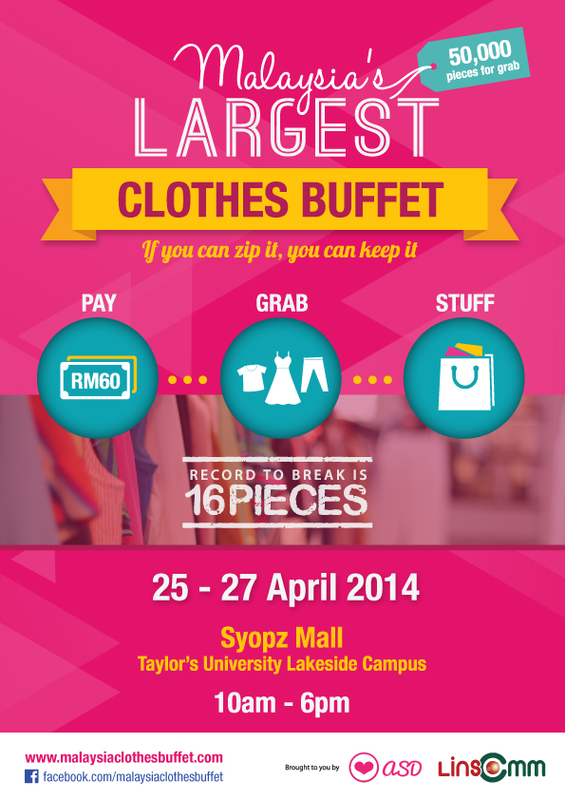 Malaysia's Largest Clothes Buffet is back to town!! Sorry for not really active recently because of addiction on rushing reading a series of comic, LOL. MALAYSIA'S LARGEST CLOTHES BUFFET IS BACK TO TOWN NAO!! !